"I was looking at postcards run through the David Jones digital video frame buffer. The buffer had two inputs, a video image of white noise and a video image of holding a post card, blank back to the camera as a clip. 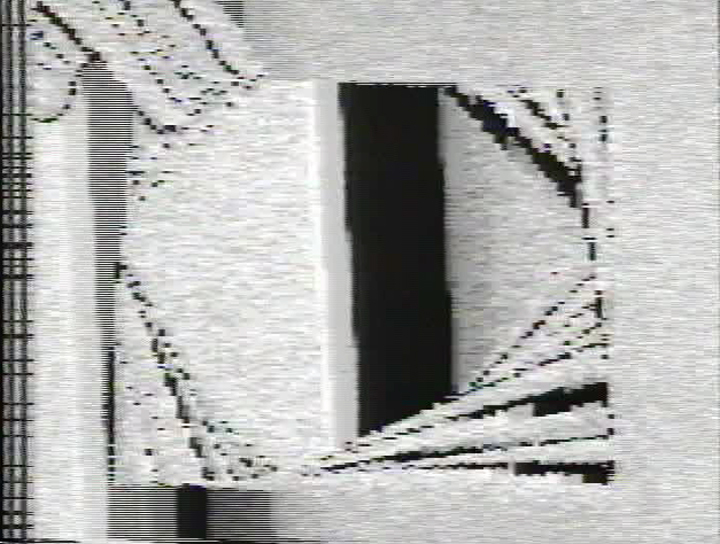 The post card shape definited the frozen memory portion of the video white noise image. I watched the video as I moved the postcard and alternated the live and frozen memory states. White noise and memory. This 3 minute performance recording took 3 minutes to record."